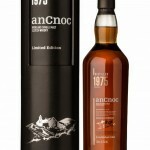 anCnoc Highland single malt Scotch whisky, has announced the launch of its latest vintage. Bottled in 2014, anCnoc 1975 (44.2% ABV) is the oldest expression ever released from Knockdhu Distillery and promises to be the ultimate treat for anCnoc fans and the most discerning whisky drinkers around the world. Produced from only three American oak and Spanish oak ex-sherry casks laid down in 1975, this latest vintage is limited to 1590 bottles and has been bottled at cask strength without chill-filtration. Described as being rich and inviting on the nose and full-bodied, intense and complex on the palate, the 1975 Vintage is presented in a simple, striking bottle and encased in an elegant black tube. 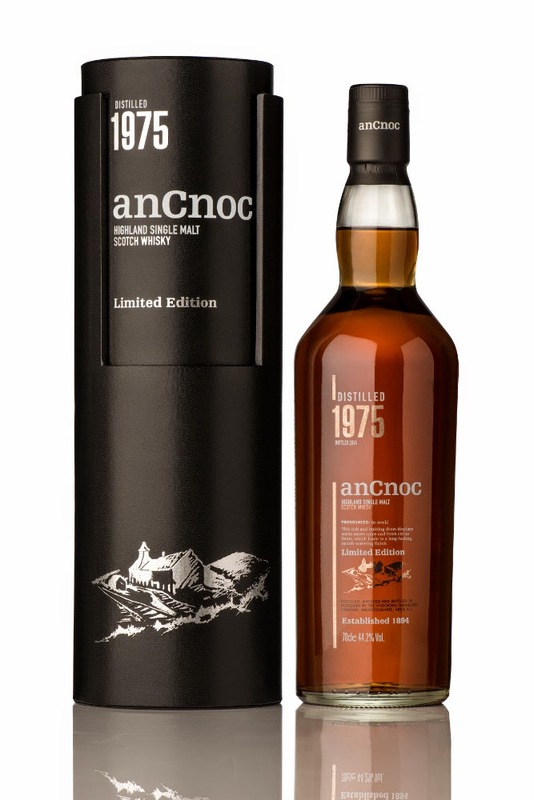 anCnoc 1975 Vintage will be available from February through specialist retailers for a RRP of £300.